Recent graduate Gabriela Goldberg ’16 has always been fascinated by the human brain, so she decided to dedicate her life to understanding it. Goldberg, who received her bachelor’s in chemistry, was awarded the National Science Foundation Graduate Research Fellowship (NSF GRFP) in 2017 to conduct research in neuroscience. One of only 2,000 students nationwide to receive the prestigious fellowship, she joins two other FIU students in that honor – Claire Scott-Bacon and Marcella Jaramillo. Goldberg will pursue her Ph.D. at the University of California San Diego this fall. In early 2016, Goldberg applied to the Summer Research Training Program of the University of California San Francisco and was accepted. 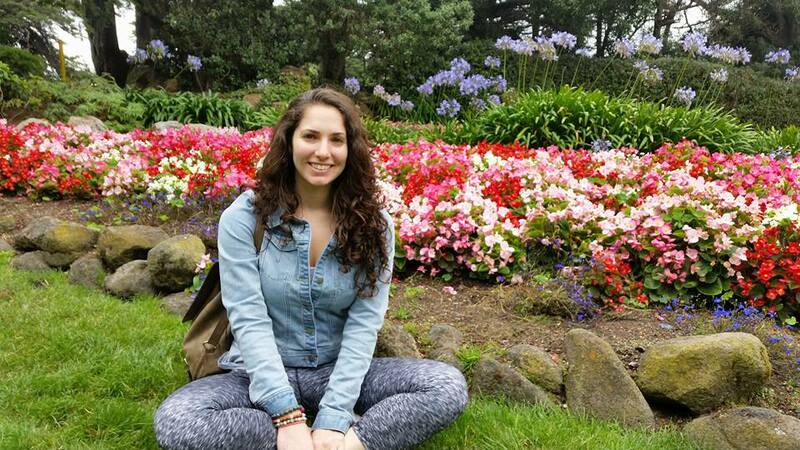 As part of the program, she moved to California and spent her summer working in a neurobiology lab that focuses on neurodevelopment and mental illnesses. While there she served as a research assistant and studied a genetic mutation of the CHD8 gene, one that is thought to be mutated in a subgroup of autistic patients. “It’s believed to be a form of autism, but nobody really knows why it happens,” she said. Goldberg worked with mice that had this mutation and studied their brain structures and neurons. The goal was to see if the neurons or connections between neurons looked different or functioned differently from normal neurons. She and the team came to the observatory conclusion that, in fact, the mice with the mutation had neurons that looked different. Ten weeks later, Goldberg returned home and immediately was driven to find a way to return to California and continue her research. This led her to apply for the NSF GRFP. “It’s the stepping stone to really understanding these diseases. It’s something that has been a taboo for so long that people haven’t really studied it. There hasn’t been a lot of funding for it, and it’s gone under the radar. Now we’re looking more at this, and we’re wanting to understand what’s the underlying cause of [mental illness],” she said. Aside from her neuroscience research, the first generation college graduate is an advocate for STEM (science, technology, education, math) education. Goldberg began her college career as a pre-med student at FIU with aspirations of becoming a doctor. She quickly learned she was more passionate about research and the scientific method than she was about working with patients. That’s when she decided to change her major to chemistry and fulfill a childhood dream of being a scientist. As an undergrad, Goldberg worked with Jeremy Chambers, formerly an assistant professor in FIU’s Department of Cellular Biology and Pharmacology who is now part of the Department of Environmental and Occupational Health at FIU’s Robert Stempel College of Public Health and Social Work. She was most interested in projects involving neuroscience and would spend late nights in the lab learning from graduate students and post doctoral scholars, recalled Chambers.